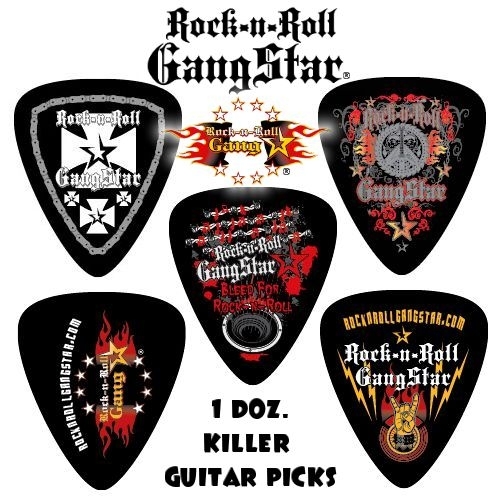 1 dozen killer Rock-n-Roll GangStar guitar picks with our Biker Cross, Peace Blade, Bleed For Rock n Roll, Rebel Emblem, & RRGS logo designs. Packaged 1 dozen mixed designs, medium gauge. A hit at the NAMM Show 2013!